Johns Hopkins Medicine scientists say they have found new evidence in lab-grown mouse brain cells, called astrocytes, that one root of Alzheimer's disease may be a simple imbalance in acid-alkaline—or pH—chemistry inside endosomes, the nutrient and chemical cargo shuttles in cells. To shuttle their cargo from place to place, endosomes use chaperones—proteins that bind to specific cargo and bring them back and forth from the cell's surface. 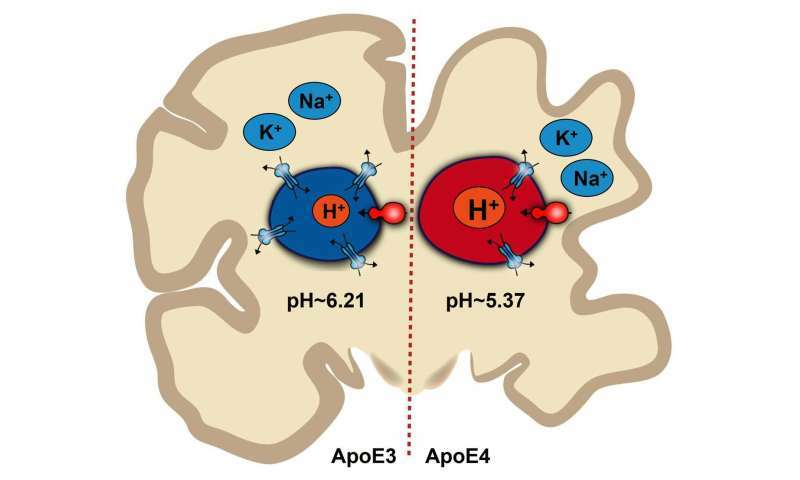 Whether and how well this binding occurs depends on the proper pH level inside the endosome, a delicate balance of acidity and alkalinity, or acid and base, that makes endosomes float to the surface and slip back down into the cell.